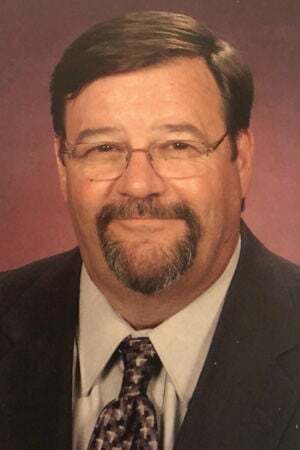 ST. PETERSBURG, Fla. — Robert Joseph Burke, 71, of St. Petersburg, Fla., passed away peacefully Friday (April 12, 2019) in Palm Harbor, Fla., surrounded by family. Robert was born Jan. 29, 1948, in Bloomington, to Robert and Mildred Kroll Burke, who preceded him in death. Robert married Kathleen Werthwein on May 13, 1972. She survives. Also surviving are his children, Jim Burke, Peoria; Michele (Dan) Roling, Clearwater, Fla.; Tom (Misty) Burke, Washington; and Katie Burke, Peoria; six grandchildren, Mariah (Jake) Singer; Sarah (Chris Morgan) and Hailey Burke; Leah, Brooke and Maggie Burke; four great-grandchildren, Luke and Chloe Singer and Liam and Sage Morgan; his siblings, Valerie (Bill) Smeltzer, Mary (David) Anderson, Patrick (Tracy) Burke, all of Bloomington; and Jeff (Trudy) Burke, Madera, Calif.; and a host of nieces and nephews. Robert was a military veteran, serving in the United States Navy during the Vietnam War. He worked at Illinois State University for 29 years, retiring in 2003. Robert liked to travel, especially to warmer climates during the Illinois winters, and he was no stranger to any beach or pool. He cherished the time he spent with his grandchildren, especially during the holidays. He was a lifelong fan of the Bears and Cubs, especially proud of the 1985 Super Bowl and 2016 World Series runs. Robert liked to listen to the blues and play pool to pass time. A memorial service is at 10 a.m. April 17 at St. Matthews Catholic Church, Largo, Fla. Cremation rites will be accorded, and graveside services will be at a later date. Memorials may be made to Suncoast Hospice Foundation, 5771 Roosevelt Blvd., Clearwater, FL 33760, or at www.suncoasthospicefoundation.org. Carlson Exteriors: FREE gutter cleaning with purchase of leaf protection.